Situated along Pacil in the charming islad of Malapascua in Cebu, Mr. Kwiiz Lodging House is situated about 120km north of Cebu City. To get to the lodging house, guests must ride a cab from the Mactan Cebu International Airport going to the north Bu... Situated along Pacil in the charming islad of Malapascua in Cebu, Mr. Kwiiz Lodging House is situated about 120km north of Cebu City. To get to the lodging house, guests must ride a cab from the Mactan Cebu International Airport going to the north Bus Terminal, where they will have to ride a bus going to the Maya Port. From the port, guests are to ride a ferry that will take them to the Malapascua Island, and a single motor will take you directly to the lodging house upon arrival at the port. Cebu is located in the Visayas region in the Philippines. It sees its fair share of tourist all year round, and its peak season is every January during the Sinulog Festival, which is celebrated every third week of the month of January. The Sinulog Festival is held in Cebu City and is a feast dedicated to the Sto. Niño as well as a commemoration of the Filipinos’ acceptance of Christianity back in the early 1500s. There are parades and street parties throughout the month to commemorate the event. Though there are several festivals that are dedicated to the Sto. Nino, what sets the Sinulog apart from the rest is it special dance, a simple "two steps forward, one step back" routine. And of course, there are the numerous street parties around the city where anyone who wants to have a great time is invited. It is during this time that there is a huge demand for accommodations. And if you’re not from Cebu, you would need to take a plane to get there, or in some cases, take a long boat ride (if you have the patience and stomach for a long journey at sea) which can be quite pricey. Therefore, the best time to book cheap and affordable hotels is months in advance. If you plan on going to Cebu for Sinulog, it’s best to start booking hotels around September or October to make sure you can find a hotel that is within your budget range. You can still book days before the festival if you still aren’t sure, but the chances of finding something cheap might be harder. Even during the off-season for tourists in Cebu, try to still book in advance because you can get room rates even cheaper and even run into promos. TravelBook.ph has promos and sales all throughout the year, and it is just about spotting them at the right time. You can also download the mobile app to earn twice as much reward points for every booking as well as have access to exclusive deals that aren’t always available on the website, including overall bigger discounts and a wider range of discounts as well as payment options. Cheap hotels in Cebu are plenty and you’d be surprised with their affordability. 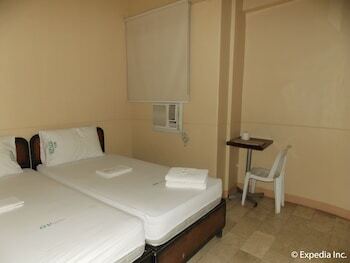 Some accommodations can be booked for as low as PHP 250.00, while the most expensive is only around PHP 1,200.00! These range from simple accommodations to beach front resorts that will definitely give you the best bang for your buck. Some of these hotels and resorts include Cebu Guesthouse, GV Hotels Talisay City, Cinfandel Suites, Park Hill Hotel Mactan, Bantayan Island Nature Park and Resort, and Capitol Central Hotel and Suites. As it can be pricey to travel to Cebu, there are numerous alternative activities you can try and do to enjoy your stay if you are on a tight budget. There is an abundance of beaches in Cebu, some of which have barely been touched and not too urbanized so you can be assured of a pure and peaceful tropical experience. Try heading to Malapascua, Bantayan Island, Oslob, and Moalboal which are all known for their gorgeous shores. When Magellan first landed in Cebu when he arrived in the Philippines, Catholicism was introduced in the country and the rest is history. A great activity is visiting the site of this historic event: Magellan’s Cross. It is currently in a chapel beside the Basilica Minore del Santo Niño on Magallanes Street in Cebu City. The original cross is housed in a new casing to protect it from overzealous devotees, though some believe that the real cross has been lost for years. Activities in Cebu are best partaken as a group because of their cheaper and more economical rates. City tours, specifically in Cebu City and Mactan, are highly recommended as well as canyoneering in Badian. Invest in cheap flights and affordable accommodations with a group of five to 10 persons and spend a little over PHP 1,000.00 for a whole day city tour or go canyoneering if you want something more exciting and adventurous. Cebu is a nice place to shop for souvenirs and pasalubong. The most common take home goodies are otap, an oval shaped puff pastry which is baked twice to get its famous crispy texture; mangoes (fresh and dried); dried fish; and chicharon. You can easily buy all these in bulk almost anywhere in Cebu, and you won’t even have to spend PHP 500.00 to be able to buy a lot. Much like Metro Manila, Cebu is highly urbanized so you can go to Malls like Ayala Center Cebu or SM City Cebu, the fourth largest shopping mall in the Philippines, so you will surely be able to find great deals and anything you might be looking for. You can buy local souvenirs at kiosks for about PHP 30.00. Cebu is a huge province with so much options for dining, but whether you are in the metropolis or by the beaches, trying out lechon is a must. Be it the classic roasted pig that is talked about by locals, tourists, and even travel shows, or new iterations like deep fried and spicy, the lechon in Cebu is a staple that you can’t miss. Two of the best places to get lechon, often being disputed as which is truly the best, are CnT and Zubuchon. They have affordable lunch options if you want to try it with a full meal. If you want more budget friendly options when buying bigger portions of lechon, you can head to the city of Carcar and check out Carcar Public Market. Also delicious and irresistible, their version of lechon is much cheaper compared to the one in the capital. Another place to go to for affordable and tasty food is Larsian. Here you can get authentic street food and try the famous puso (rice cooked in a banana leaf shaped into a triangle). You can easily spend PHP 150.00 to PHP 200.00 and you’ll be stuffed full.